Our Electronic Card Repair Center is a division within the EkoPC Bursa Tech. Service. We can repair all kinds of electronic cards including but not limited with; mainboards, graphics cards, network cards etc. 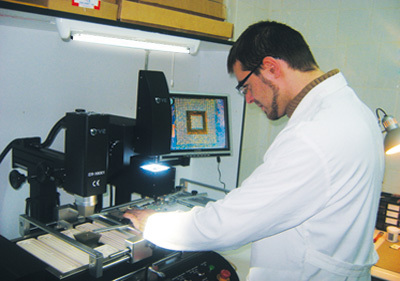 We are working with the latest technology BGA Rework and SMT Rework stations and skilled technicians.